Conor McGregor vs Floyd Mayweather is ON! Two of the biggest names of the world’s biggest combat sports, MMA & Boxing are about to collide and it’s set to be a record breaker! After nearly two years of McGregor taunting and jabbing at Mayweather, the last thing we heard was that McGregor had signed the papers and was waiting on Mayweather. Now we can confirm that the Floyd Mayweather camp has sign the contracts for one of the biggest fights ever. 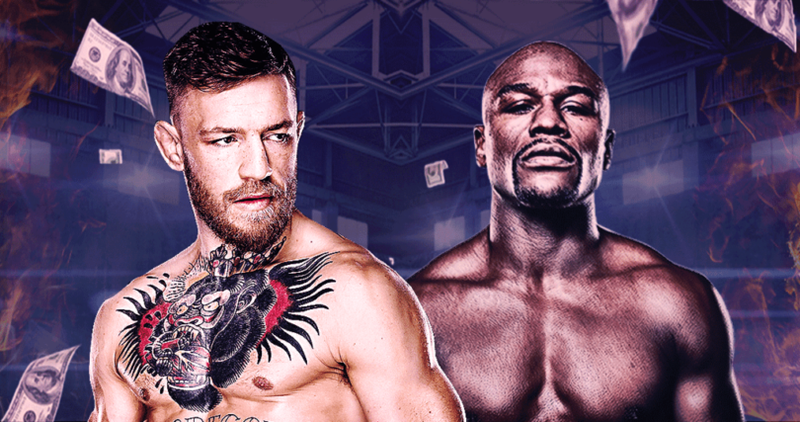 Stylistically, this fight is completely one sided, the pundits have everything riding on the 49-0 boxing legend that is Floyd Mayweather to outclass the professional boxing rookie, Conor McGregor. The fight will be held August 26th, which is exactly the same time as the IBJJF Worlds Masters (sorry BJJ guys), and will be held at the T-Mobile Arena in Las Vegas. The match is scheduled for 12 rounds at 154lbs with both fighters wearing 10oz gloves, which favours Mayweather currently. On Instagram, Mayweather said: “It’s official!”. McGregor was similarly to the point: “THE FIGHT IS ON,” he wrote on Twitter. As a barb, the 28-year-old Irishman added a picture of Mayweather’s father, Floyd Sr, a presumed joke at the expense of his 40-year-old rival’s age. The terms have not been fully confirmed for the match but one thing is for sure, Mayweather and McGregor are going to get PAID!